Gene Ducharme, M. Trépanier, Lucien Cloutier and Sidney Rigg work at Bilodeau Granite in Barre. 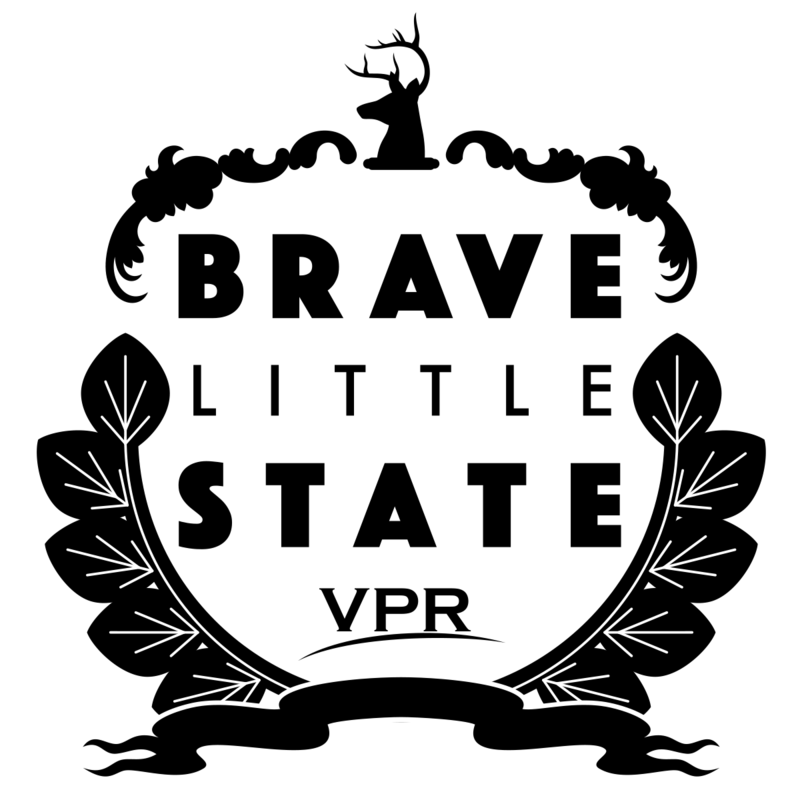 This month on 'Brave Little State,' we explore the history of French Canadian culture in Vermont. This month on Brave Little State, VPR’s people-powered journalism podcast, we delve into the history of French Canadian immigration in Vermont. Every month our show takes on questions about Vermont that have been submitted and voted on by you, our audience. This month we’re considering Anglicized names, and the discrimination that some French Canadians faced in the Green Mountain State. 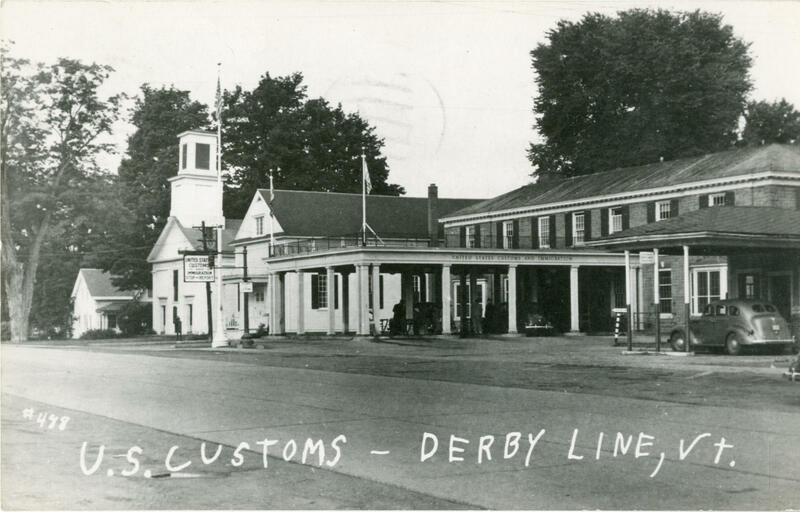 Our exploration starts in the town of Derby, on the Vermont-Canada border. One of its villages, called Beebe Plain, features a main road that runs east-west, right on top of the international border. Bertha Patenaude, who grew up in Beebe Plain in the 1950s, says the road’s name is a portmanteau — a hybrid of two words. Bertha says that when she was a kid, crossing the street — and the border — used to be a regular thing. Bertha’s friend Simone Fortin went to Catholic school north of the border for first and second grades. “When we left the convent, we'd come up the hill to come into Derby Line and go to the post office. They'd give us the mail and we'd go back to the house,” Simone says. Simone’s parents were Canadian, and so was Bertha’s mom, but both women were born in Vermont. And their families were part of a French Canadian community here that ran deep. Today, the women can switch from English to French as easily as they used to cross the border. When asked to introduce herself, Simone opts to do it in her native language. French Canadian heritage runs deep in Derby Line. But Vermont's border towns weren't the only communities that drew French Canadian families into the state. Vermont’s border towns weren’t the only communities that drew French Canadian families into the state. The mother-in-law of another of our question-askers, Marcia White, grew up in central Vermont. Marcia is a retired administrative assistant. But her true passion — she calls it an obsession — is genealogy. She was a founding member of a genealogy society in Gardner in 1993. Marcia has followed her own family line back to England, Scotland and France. One day she got tired of researching her own family, and began looking up the names of her husband’s relatives. Marcia’s mother-in-law was born in Waterbury. Her name was Ruth Tatro. The Tatro family knew it had some French Canadian roots, but Marcia was the one to figure out the original spelling of the name: Tetreault. Marcia traced two other branches of the family back to Canada as well. One was Kirby, originally Corbeil, and another was Demas, originally Demers. She figures her husband’s forbears changed their names for ease of pronunciation. But she wants to know more about how and why this Anglicization happened. Susan will be our historical guide through this episode. We’ll hear lots more from Susan. But first, we meet a few Vermonters who are actively tracking their French-Canadian ancestry, just like our question-asker, Marcia. They’re members of the Vermont French-Canadian Genealogy Society in Colchester, where they met on a recent Saturday. The Vermont French-Canadian Genealogy Society in Colchester owns volumes of records, allowing members to trace their heritage back hundreds of years. Research often involves some bilingual detective-work. The group owns volumes of records, allowing members to trace their heritage back hundreds of years. But they often run into an early hurdle. “We find when we're tracing our families the last names are changed so often you have to discover what the real name is,” says Marge Allard. Marge’s fellow society member, Sue Valley, speaks fluent French and does a lot of translating for the society. And she has a method for finding the roots of Anglicized names. Sue cites a recent example, when she traced the modern-day surname Watso back to Watzeau. One possible factor for John’s father? He was running a business: the NBC Bakery in Burlington. Susan says while some people hand-picked their new names, others didn’t really have a choice in the matter. It was done for them, through the Federal Census, which really ramped up in 1850. “Census-takers were hired to go out and canvass neighborhoods and write down the information about the various populations of people that they were counting,” Susan says. And the average Census-taker didn’t speak French. So, for example: Say a guy’s name is Jean Baptiste Viens dit Lumiere. When the Census-taker heard that, he’d write down John Lumen. And that, Mesdames et Messieurs, is Anglicization. It makes sense that there are lots of reasons French Canadian names got changed — because there have been many chapters of French Canadian immigration into Vermont. “It's not one stream,” says Susan Ouellette, our history guide. Susan says French Canadians have been in this region since before the American Revolution, and have migrated in waves of different sizes over the centuries. She says the biggest wave was probably during industrialization, in the heart of the 1800s. “I think most people who think about this, that's the wave that gets recognized,” Susan says. By 1860, more than 16,000 French Canadians were living in Vermont, more than double any other state in New England. Their presence was so pronounced that when the writer Nathaniel Hawthorne visited the Burlington waterfront, he wrote in his travelogue that if he didn’t know for sure that Vermont was indeed in America, he’d think he was in Canada. “Because there were so many French people and Canadian money, and everyone around him [was] speaking French,” Susan says. Burlington, Winooski and Manchester had the jobs that drew people here. There was work in and around the mills and factories that were cranking at the time. Many French Canadians took jobs in Vermont's factories and mills. 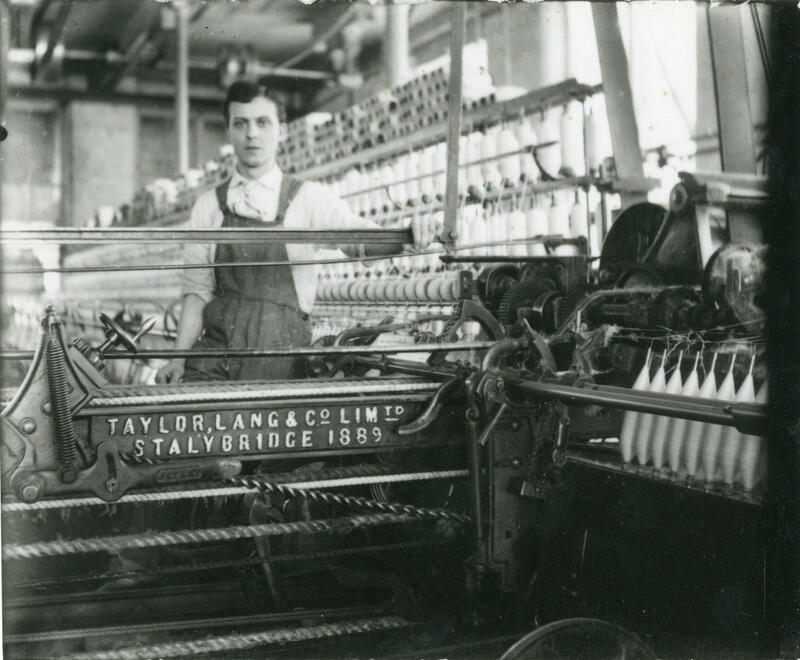 This photo, thought to have been taken in a mill in Winooski, includes a caption suggesting that the man's name is Abair. “Yankee girls saw themselves as deserving more respect and better pay and better treatment than the mill owners actually wanted to give,” Susan says. And once one family member got a job down in Vermont, others would usually follow. These islands of French culture were known as “Little Canadas,” where everyone from the grocer to the undertaker was French. Eventually, the main flow of French Canadians shifted from Vermont to other New England states, leaving us with the smallest percent of the region’s population by 1930. But the “Little Canada” of Winooski held on to its French Canadian heritage. And you can still find it today, if you know where to look. If you live in the area, you may know Winooski best for its sometimes harrowing traffic circle, which is right in the center of downtown. Nearby are the Winooski Falls. They were the power source for the mills worked by many French Canadian immigrants, including Rita Martel’s parents. “My mother went to work there at the age of 12,” she says. Rita is in her 80s. She’s the former president of the Winooski Historical Society and she remembers the almost comical lengths to which her family would go to keep their jobs. Rita says the mills created a tight-knit community. The mills closed in the 1950s. The remaining mill buildings now house condos, offices and restaurants. But for decades, they were the economic engine behind a bustling French Canadian community. A central part of that community was St. Francis Xavier Church. It’s up the hill from downtown. St. Francis Xavier Church was established in 1868 as many new families arrived from Quebec. Outside that church, we met two local history buffs, Joe Perron and Kim Chase. Kim is the daughter of Claire Chase. Joe is the new president of the local historical society, and he also grew up in Winooski. Kim and Joe point out that Winooski was not exclusively French-Canadian. There were also families of Polish, Lebanese, Italian, Irish and Syrian descent. Kim and Joe don’t have the exact numbers, but of all those groups, French Canadians were the largest — and St. Francis church was built through many small donations from working-class French Canadian families. Joe looks up at the church, a tall, red brick structure with two steeples topped with aging copper, and points out some details. “Do you see where the louvered parts are? Each one of them has a little Canadian maple leaf on it,” he says. St. Francis parish was established in 1868 as many new families arrived from Quebec. Joe and Kim say, given the prominence of the Catholic Church in Quebec at that time, it was crucial to establish a French parish with French-speaking priests. The sanctuary is lined by colorful frescos and intricate stained glass. Joe says this served as a sort of beacon back to Quebec. Next door to the church is another landmark of French Canadian Winooski: St. Francis Xavier School. It was founded in 1862, and for many years, it was run by the Sisters of Providence. Their former convent is across the street. Rita Martel, the former president of the Winooski Historical Society, recalls how her grandmother would dress her mother up to look as old as possible so she could work in the Winooski mills. According to Tom Devarney, who went to St. Francis starting in 1946, half of every school day was taught in English, half the day in French. As Tom tells it, into the 1960s, school subjects were pretty evenly divided. Sue Valley grew up in Winooski and went to St. Francis around the same time as Tom. She also spoke French at home, but in a dialect her teachers didn’t like. Back outside St. Francis School, Kim Chase says having bilingual classes not only preserved French; it also helped older generations who didn’t speak English. “My grandmother did not speak any English and was illiterate so that, you know, that was important in that she had to kind of try to learn English by pretending to help her kids with their homework,” she says. But like we heard before from Kim’s mother Claire, English fluency wasn’t really necessary in Winooski. Joe Perron adds it really wasn’t the French Canadians that had to learn a new language. But not all so-called Yankees were so open-minded. According to our question-asker Francis Tenney, his grandmother Doris Leclair, a first-generation Vermonter who grew up in St. Albans, was told not to speak French at home. “And the reason she was not to speak French in her own house was because with the French dialect, they would treat her differently than they would with somebody that spoke with an English accent,” Francis says. Francis, who lives in Northfield, wanted to know more about the discrimination that some French Canadians faced in Vermont, and why it isn’t talked about more. Another interview conducted by the Vermont Folklife Center speaks to the difficulties of being a Franco American in Vermont. “Where to be begin?” Martha Pellerin said with a laugh, when talking to the late, great folklorist Greg Sharrow in 1997. Martha grew up in Barre, and hearing to her talk about her childhood, you get the sense that Francis’ grandmother Doris would have been able to relate. Martha was aware of the universality of her experience — that difficult back and forth between two cultures. And because French Canadians and Franco-Americans were minorities in Vermont, they were also subjected to more organized discrimination. Professor Susan Ouellette talks us through two forms that it took. You might think of the KKK as a group that only targets African-Americans. But historically, it was against a whole range of minorities, including Catholics. “And it's the anti-Catholic language that really affected French Canadians because they were Catholic,” Susan says. The KKK arrived in Vermont in the 1920s and began trying to recruit people. My bedroom window faced the hill on which St. Agustine’s [sic] cemetary [sic] rested. One night I reached to draw the curtain before retiring and was terrorized by a massive cross in raging flames and white hooded maniacs prancing around it. It was many years before the nightmares ceased; I was a Catholic and in my childish mind I relived the horror and felt sure they were coming after me. The KKK was also officially opposed to drinking, so their reputation in the state took a hit when, in 1924, a group of Klansmen got drunk and broke into a cathedral in Burlington. You can read all about it in Mark’s book. Susan knows the story, too. However, at around the same time, a second form of persecution came along that targeted minorities in Vermont. “The eugenics movement was a far more subtle and perhaps more damaging kind of wave of misplaced pseudoscience, I guess is the way I would describe it,” Susan says. This is something that another question-asker, Diane Alberts of Rutland, asked us about. Diane wasn’t able to talk to us for this episode, but in any case: That pseudoscience was championed by a University of Vermont zoology professor named Henry F. Perkins. We’ve covered this disturbing history in a previous episode, about the Abenaki Native Americans. They were persecuted — along with poor people and the so-called “feebleminded.” People who were considered marginal were sterilized so they wouldn’t have kids. The idea was to address “degeneracy” and combat poverty. “There was this idea around, from state leaders, that the cause of these failures in Vermont were due to this incoming foreign weaker element, so to say,” says Mercedes de Guardiola. Last year, when she was a senior at Dartmouth College, Mercedes wrote her senior thesis on Vermont’s eugenics movement. She talked to Vermont Edition about it, and said that Henry Perkins didn’t actually target French Canadians in the way he did other groups. “He definitely does in some of his letters say that he doesn’t quite think that they’re the root of this degeneracy,” Mercedes notes. At the very least, Mercedes says French Canadians were subjected to anti-immigrant sentiment — not from the KKK this time, but from people who believed in the purported science of eugenics. Mercedes’ full interview with Vermont Edition is definitely worth a listen — especially if you weren’t aware of this history. Susan Ouellette says it’s not exactly a story that gets top billing. There’s another reason French Canadians may have been misunderstood or looked down upon by so-called Yankees. But Susan says for French Canadians, that measure of success was a little different. And beyond the extended family, Kim Chase says there was a commitment to building institutions for the community. Back in Derby Line, Bertha Patenaude pulls out an old school photo from the days when her now-husband Albert was in class with Simone, just east of here, in the town of Holland. Albert points people out, many of them now deceased. But new generations are coming up right behind. Bertha and Albert have six kids and 12 grandkids and seven great-grandkids. They babysit their grandson Aden three days a week. A few years ago, Bertha and Albert sold their family businesses to Aden’s parents, and now Jason and Alison Patenaude run the excavating outfit and Sweet Meadows Maple Products. They drive down the road to the sugar house, where Jason and a few of his employees and buddies are getting ready to boil sap. His parents take in the scene with pride. 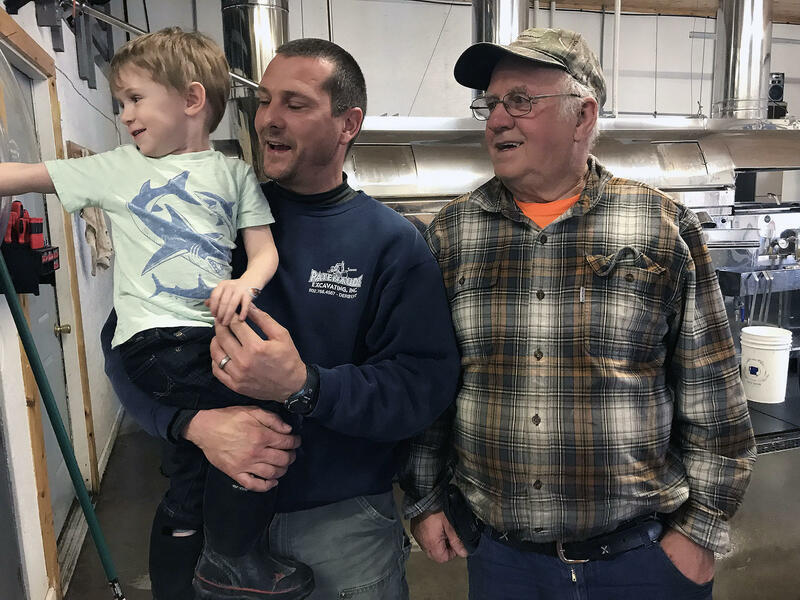 Three generations of Patenaudes gather in the family's sugar house at Sweet Meadows Maple Products in Derby Line. From left: Aden, Jason and Albert. A few more relatives join in the mix, including a son and a great-granddaughter. This is clearly a family operation, and Jason says he’s proud to be carrying it forward. Bertha, Albert and Simone say crossing the border into Canada isn’t as easy as it used to be. They say things really changed after 9/11, so they don’t go there as much as they used to. But they also don’t really need to. For the most part, their families are here now. The archival recordings of Claire Chase and Martha Pellerin were used courtesy of the Vermont Folklife Center. To access these and other recordings in the Vermont Folklife Center Archive please visit them at vermontfolklifecenter.org. Special thanks this month to Andy Kolovos, Madeleine Winterfalcon, Lynn Johnson, Ed McGuire, Scott Wheeler, Ian Drury, Betty Smith, Kari Anderson, Lise Larivee, Emily Corwin and Paul Carnahan. Correction 5/21/18 11:47 a.m. The Vermont Historical Society originally identified one of the men in this story's lead image as having the last name Tuapanier (no first name is available). The name should be spelled Trépanier.